When you need information about WiseImage for AutoCAD, you’ve come to the right place. CAD / CAM Services is an authorized reseller, as well as a regular user of WiseImage in our AutoCAD service bureau. This means that we not only offer competitive pricing, but we also offer experience using the software. We know that no matter how easy software is to use, sometimes you have a question about it. We use everything that we sell, so we understand it and we endorse it. Just click on the button below and fill out the form to get FAST information and pricing on WiseImage for AutoCAD. What is Wiselmage for AutoCAD? Wiselmage for AutoCAD solves the problem of incorporating scanned raster data into a CAD environment. It is an AutoCAD application for raster editing, raster-to-vector conversion, and drawing revision. Wiselmage enables you to make quick changes, do editing and correction or automatic and semi-automatic raster-to-vector conversation of scanned technical drawings, maps, plans, drafts, sketches and other graphics. It blends raster and vector with CAD functionality and image processing capabilities perfectly-everything in one single cost-effective application. Wiselmage for AutoCAD is the solution for everybody who focuses not only on new designs but also on restoration, updating and drawing revisions. For you, Wiselmage will be a life-saver. 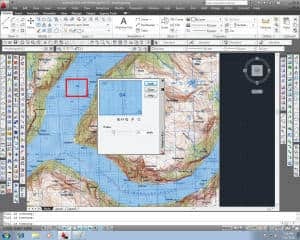 This makes Wiselmage a must-have add-on for a wide range of applications – GIS, cadastral, aerial and satellite image processing, architecture, engineering and schematics to mention but a few. All Wiselmage commands are perfectly integrated into the AutoCAD environment as if just more CAD tools. AutoCAD’s CAD functionality combined with Wiselmage’s high-end image processing results in a strong synergetic effect! AutoCAD now is capable of processes scanned drawings, satellite imagery, or other raster files as the best image processing application. And the crossroad of raster and vector graphics is the Wiselmage capabilities to work with raster and vectors together as if it is a single entity set. Raster-to-vector conversion and map digitizing have never been easier. Wiselmage provides the most advanced solution for raster, vector and raster-to-vector conversion of raster images. 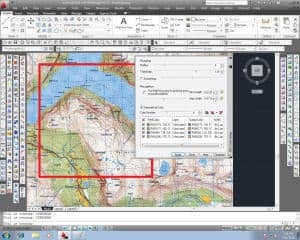 With the powerful suite of tools in Wiselmage, you can edit scanned drawings and maps easily. Wiselmage allows you to save redrafting time and boost your productivity. The time from customer request until invoicing can be dramatically shortened – all without having to reduce the quality or price of your work. Large format scanners produce high-quality black and white, grayscale, or color raster images. To effectively transfer scanned drawings to CAD, efficient post-processing software is necessary; the ideal solution is Wiselmage for AutoCAD with the built-in scanning module called WiseScan. It provides native support for most wide-format scanners with Image clean-up, correction, calibration, bit-depth reduction, and raster-to-vector conversion. Exact calibration is essential when processing scanned drawings. Wiselmage offers multiple options for selecting the most suitable method, importing coordinate values or assigning point positions manually. High-quality transformation algorithms provide very accurate results. Full-color images are huge so it is vital to minimize image file sizes. Wiselmage can do this without any loss of information. Colored areas can be combined according to color similarities or by referring to their distribution frequencies. With the help of this technology, the number of colors in an image can be reduced from millions to tens. In Wiselmage it is possible to crop, change resolution, scale, deskew, and calibrate color and grayscale raster images. It is possible to change brightness, contrast, hue, and saturation and adjust the color gamut, improve image quality and apply color filters. Users can easily manage the colors of the image and create/edit LUT files. It is easy to edit, construct or add information to these images, even rasterizing vectors to generate ISO compliant raster files as often required for compliance purposes. Merging monochrome and color images is also a one-click task. Wiselmage offers several advanced options for working with raster and vector data. One such option is the unique technology to select raster objects and separate them into layers. This feature is based on the intelligent selections and the smart WiseObject (text, hatches, and lines) selection. Wiselmage has an advanced tracing function (semi-automatic-interactive raster to vector conversion) also for color, grayscale or monochrome images. In addition to easily detailed objects tracing in Wiselmage, it is possible to trace raster shapes that correspond with vector templates. Select a raster shape and Wiselmage will automatically match it to the appropriate vector object from a default Symbol Library or a customized library created to match user requirements. The polyline tracing feature includes auto-detection of tracing direction. When applying automatic vectorization, the user needs to set recognition parameters before starting the procedure. 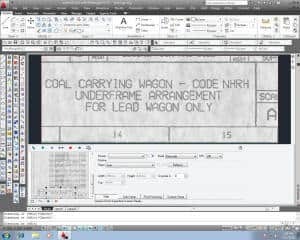 Wiselmage for AutoCAD recognizes and converts to corresponding vector objects raster lines, arcs, circles, symbols, points, polylines, outlines, hatches, and text. The program also recognizes raster line types, widths and dimension arrows. Wiselmage for AutoCAD can process color, grayscale or black and white images. The results of automatic vectorization often require further correction – this can be done automatically with tools that will merge vector fragments, create orthogonal lines, and round objects widths to specified values. Resulting vector objects can be separated by weight, AutoCAD layers, and color. During automatic raster-to-vector conversion, Wiselmage for AutoCAD converts raster texts to AutoCAD text entities. It is also possible to convert raster texts to polylines or outlines. Text recognition is provided by the world leading FineReader OCR Engine 9.0. You can also use external OCR modules. Wiselmage offers several advanced options for working with raster and vector data. One of them is the unique technology to select or separate raster objects into other layers, which is based on intelligent selections and a brand new selection engine including the smart WiseObject (text, hatches, lines) selection. This feature is complementary to the well-known Symbol Search-and Replace feature of Wiselmage. CAD / CAM Services is one of the largest providers of CAD / CAM conversion software and services in the USA. We are experienced users of WiseImage for AutoCAD, as well as all of the other software products that we sell. We invite you to contact us for expert information and competitive pricing on WiseImage for AutoCAD and, don’t forget… we’ll also do your conversions for you!